Sketching an impressive arts event calendar can be a real daunting task for entertainers, who are trying to keep their fans and loyalists hooked to their business. 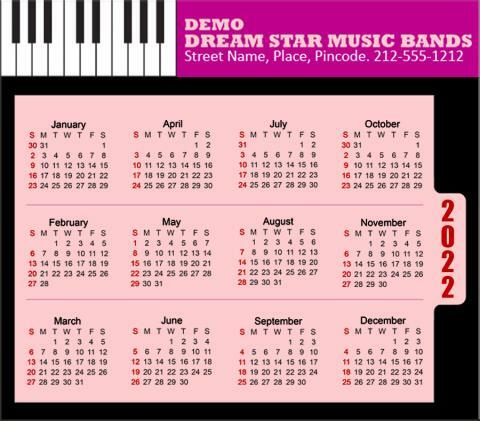 They can easily solve the problem by investing their interests in these custom 3.5 x 4 inch arts calendar square corner magnets – 20 MIL. This magnet offers them large space for sketching their event information and contact details. It is perfect for promoting band, music concerts, music conventions, music fundraisers and many more. Request a quote to know discounts that you can expect by bulk ordering these custom 3.5x4 inch arts calendar square corner magnets – 20 MIL.